News broke yesterday via Baseball America that Melvin Dorta was signed to a minor league contract by the Washington Nationals. In what seemed like a perplexing move made more sense when it was reported that Dorta was going to be part of the Senators’ staff as a player-coach. Dorta played 345 games in a Senators’ uniform over parts of four seasons between 2004 and 2007. 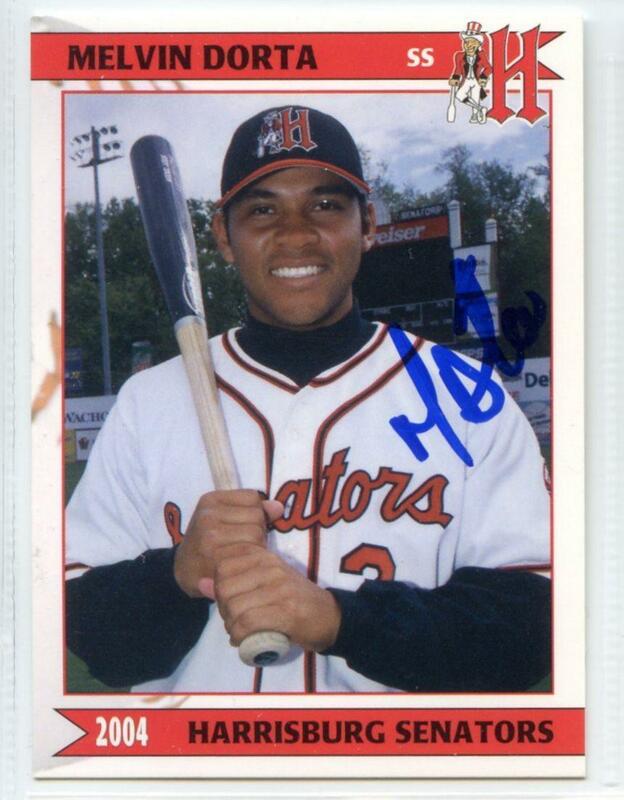 The native Venezuelan hit a combined .248 with 151 runs scored and 73 stolen bases during his time in Harrisburg. Dorta’s name is littered throughout the Senators’ record books as he ranks second in all-time hits (299) and first in all-time stolen bases. Dorta settled in nearby Palmyra and runs the B2B Baseball Academy at the In The Net facilities. Last year, Dorta also played for Palmyra in the East Shore Twilight League before removing himself from the active roster in mid-June to focus on other obligations. This entry was posted in Trading Cards and tagged Harrisburg Senators, Melvin Dorta, Palmyra. Bookmark the permalink.